It’s party time! Happy Birthday Slots is a guaranteed good time online, with a great theme and loads of rewarding wins! Login and play today! You’re invited to the hottest birthday party! There are decorations, pressies and cake, and of course, bonuses & exciting wins! 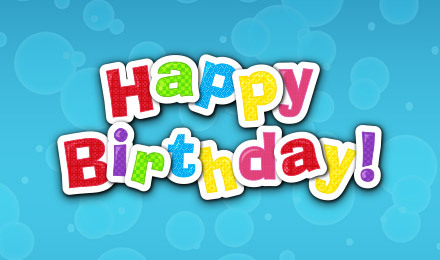 Spin Happy Birthday Slots today at Moon Games! Once the reels get going, look out for the Streamers symbol, which is your Wild & can replace other symbols to complete winning lines, as well as the delicious birthday Cake, which is your Scatter – 3 or more will activate your FREE Spins Bonus!